the country’s preeminent winemaking dynasties. Their incredible Riesling portfolio reflects traditional winemaking practices with exceptional single vineyard designated wines in every style. S.A. Prüm is a founding member of the Association of German Premium Wineries (VDP), a consortium of Germany’s top producers. Raimund Prüm employs organic fertilization, hand-picking and strict yield control to ensure the utmost quality. Since taking over in 1971, Raimund “The Red” Prüm has expanded the winery’s vineyard holdings from 3.5 Ha to 30 Ha. Always joyous with boundless energy, Raimund remains the “face” of the winery. 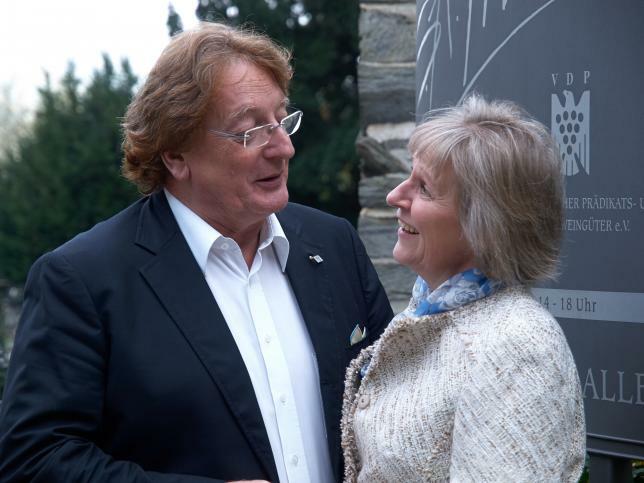 He, along with his wife, Pirjo - the estate’s sommelier, act as global consultant and ambassador, for S.A. Prüm. In 2017, Raimund’s daughter Saskia assumed full ownership of S.A. Prüm Estate. She is the lead winemaker, responsible for managing all aspects of the estate’s wine portfolio. Saskia marks the first time that S.A. Prüm is owned by a woman!